The likelihood of Barcelona signing Ajax starlet Matthijs de Ligt is reportedly diminishing due to two crucial factors involved in a possible deal. The 19-year-old has quickly established himself as one of the most talented young players in Europe, making 90 appearances for his club in less than three seasons while earning 13 caps for the Netherlands. In turn, he has shown enough to suggest that he has a bright future ahead of him for club and country, but speculation has been rife over his future and a possible move away from Ajax. However, as noted by Sport, it’s suggested that Barcelona could be on the verge of pulling out of the race for his signature due to two key factors. Firstly, it’s noted that his €70m+ valuation could ultimately price them out of a move, with Man Utd and Juventus both specifically mentioned as competition. On top of that, it’s added that Barca’s inability to guarantee the Dutch starlet a regular starting berth could also work against them, as having firmly established himself in the Ajax line-up, the last thing that he’ll want is to move elsewhere and sit on the bench. 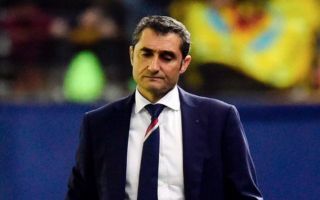 With the likes of Gerard Pique, Samuel Umtiti and Clement Lenglet at coach Ernesto Valverde’s disposal, that is a risk that he faces at the Nou Camp, and so it could play a key part in a touted move to Barcelona falling short. It remains to be seen if either Juve or United now make their move and try to wrap up a deal for De Ligt, with both clubs certainly in need of what he can provide. From United’s perspective, they’ve conceded 31 goals in just 19 Premier League games so far this season, giving them the worst defensive record of the top 11 sides. In order to compete at the top of the table, they’ll need to tighten up at the back. As for Juventus, club stalwarts such as Andrea Barzagli, Giorgio Chiellini and Leonardo Bonucci are all over 30. In turn, perhaps a long-term replacement in the form of De Ligt would be a sensible idea sooner rather than later.